A woman from North Goa on Thursday alleged she was not allowed to appear for the National Eligibility Test (NET) with her ”hijab” (veil worn by Muslim woman) in Panaji. In a complaint addressed to Nila Mohanan, Secretary for Education, with copies marked to various other authorities, Safina Khan Saudagar (24), a writer and a post-graduate degree holder in Psychology, has narrated the sequence of events that allegedly led to her being denied entry to write the NET earlier this week. At a press conference in Panaji on Thursday, she said she would write to Union Minister for Human Resource Development Prakash Javadekar and approach Goa State Human Rights Commission over the issue, “so that such injustice does not affect other persons, irrespective of communities, in future”. She said women of different faith have had to bear the brunt of ”derogatory” rules and forced to remove their belts, hair-clips, jewellery and sacred threads. 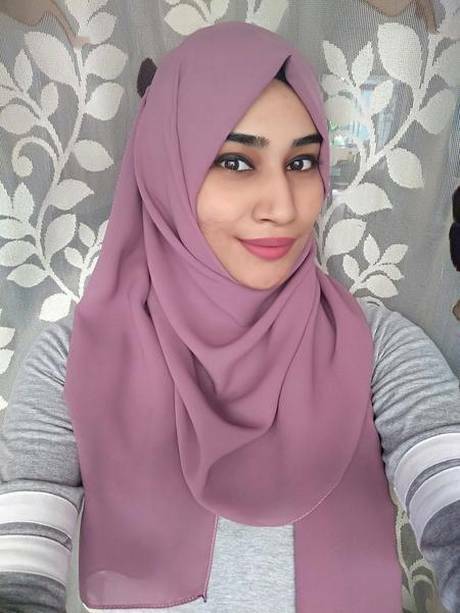 Ms Saudagar said that upon reaching the gates of the exam venue at 1:30 p.m. on Tuesday, she was denied entry during a security check and asked to remove her ”hijab” to go ahead for the examination. When she informed the man that she cannot take it off as it pertains to her religious belief and modesty, he insisted that she remove it. His senior officer, a lady, asked her to comply or she would not be allowed to answer her exam, she said. “She informed me that my ears need to be visible for a photograph and I agreed to it. I asked them to show me to a washroom to be able to redo my ‘hijab’ to accommodate their request, but they refused and instead asked me to do it in the open with no privacy,” she said. She was further told that she would have to sit through the entire exam without her headscarf or she would not be allowed to answer, she said. “Article 14 of the Constitution provides that I be treated equally. Article 21 provides that I cannot be deprived of my personal liberty. Articles 25-28 provide that I have freedom to practise my religion. Therefore, such behaviour is unacceptable in a secular State and is a matter of harassment,” she said in her complaint. There were no rules specified on the NET website or elsewhere with regards to restrictions on the ‘hijab’ or a particular dress code. If there were changes made to the rules, the candidates should have been informed of the same much prior to the examination date, she said. Ms. Saudagar pointed out that she was in a ‘hijab’ in the photograph attached to her online application, and if there had been a change in rules, her application should not have been accepted and the reason should have been specified. “It has cost me time, effort, money and has also raised questions on my religious identity, humiliated me and belittled my beliefs. Furthermore, I have appeared for NET exam previously, there were no such restrictions forced upon us then. I would like to know on what basis was I not allowed to appear for the exam when there are no specific rules mentioned,” she asked the authorities in her complaint. “I would want to know on what authority did the officials at the gate decide to restrict me from answering. I would like to know if it were a matter of security, why weren’t arrangements made to protect a woman’s modesty or religious belief with no disregard to security measures when it could have been made possible,” she said. When contacted for her reaction to the complaint, Ms. Mohanan initially said that she could not comment till she saw the complaint. When contacted later in the evening on Thursday, she said she had been extremely busy with a Cabinet meeting on Thursday and had not seen the complaint till then. Next articleIs Extended Duration Of Education, The First Great Barrier To Marriage Of The Youth?